Originally exclusive to the rich and famous, Switzerland ski resorts are now available for everyone as more operators are featuring the location in their ski programmes. Opportunities to ski in this picturesque location are becoming more easily accessible. Switzerland is famous for its fantastic snow conditions, with many of it resorts at a high altitude giving you guaranteed snow and very long seasons. The resorts all resemble a winter wonderland with spectacular scenery, alpine tree lined runs and views that are second no any other. Switzerland resorts are famous for some of Europe's finest mountain side restaurants and many people will sit and enjoy the views over lunch or a hot chocolate. Switzerland's ski areas are vast and extensive, so many resorts are split into sub areas, for example, the Four Valleys ski area includes resorts like Verbier, Nendaz and Veysonnaz. Verbier is famous as a chalet resort with over 400 kms of piste with runs to suit all levels and abilities, and for snowboarders, Verbier is one of the best free ride resorts. Nendaz and Versonnaz are smaller resorts, equally offering runs for all abilities and many runs back to your door, and you can buy a lift pass that covers all the Four Valleys resorts or just a pass to cover your resort, the choice is yours. Other famous Swiss resorts include Zermatt (one of the best all round resorts in Switzerland) and Sass Fee, or Villars, each an exclusive charming village with an excellent choice of runs, Villars and Saas Fee being a firm favourite with families and beginners with childcare facilities and English speaking ski schools. Other favourites are Grindenwald and Wengen situated at the base of the famous Jungfrau Mountains offering traditional towns, unspoiled resorts and some of Europe's most extensive piste. With uncrowded piste and fabulous state of the art lift systems, its no wonder people are returning year after year to Switzerland and of course even our royal family are partial to The Klosters too. Skiing in Switzerland is a pleasure, and beautiful country and the night-life is surprisingly lively so sure to keep even the biggest apres skiers entertained. With excellent service and Swiss hospitality, there is no reason as to why you wouldn't put Switzerland and its fantastic choice of resort top of your list. It truly is a superb ski destination and all resorts will have something to suit all taste, level of ability or budget. The accommodation and resorts are kept traditional and are simply beautiful. From basic 2* pensions offering basic bed and breakfast right through to your luxurious 5* hotels offering spa treatments and swimming pools. 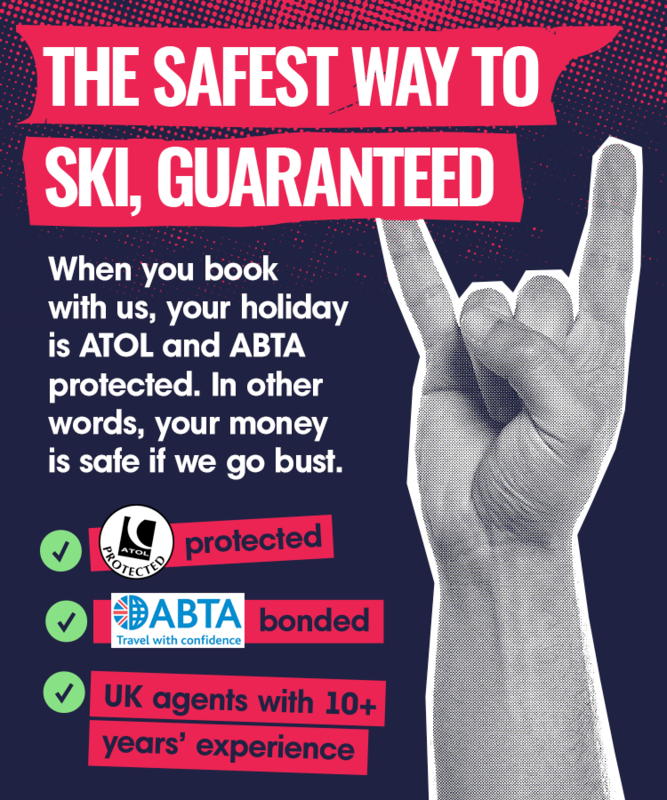 The non ski activities are available in most resorts and include activities such as Swimming, spa centres, ice skating, saunas, curling, squash, para gliding, ice climbing or snow shoeing, really the choice is endless. Switzerland is truly one of Europe's finest skiing areas, offering you an alpine experience we only ever dream of! Skiing in Switzerland gives you a true winter wonderland experience. All the resorts offer high altitude, snow sure pistes and some of the worlds most spectacular scenery. With snowy tree lined runs, long flowing terrain from the peaks of The Eiger, The Monch and and The Jungfrau mountains, ski right into the hotel doors or centres of the villages. With typically un-crowded pistes and one of the worlds best lift systems, skiing here in Switzerland is always enjoyable. Switzerland also has some of the prettiest, finest mountaintop restaurants, with views that you will find impossible to beat. The Swiss locals are huge on quality and hospitality and offer excellent levels of service. There is something here for everyone, regardless of your level of ability or your budget, and non skiers have a massive choice of activities to entertain. The Jungfrau region is probably the most famous and suited to all skiers from beginners to advanced and snowboarders too. Grindelwald with its lively atmosphere and excellent beginner slopes and non ski activities, Wengen with its traditional village located in the main ski area, also famous for its World Cup downhill course, and also Murren with its charming village and some of Switzerland's best skiing, all make up this region. The "Big Three" offer excellent off piste opportunities too. There are three glaciers in Switzerland and have three fabulous resorts to choose from, Verbier makes for a perfect luxury ski holiday offering over 300 kilometres of piste to suit all levels, 2 freestyle parks and renowned Apres Ski. Then you have Nendaz and Veysonnaz, two smaller resorts filled with charm and character, excellent snow and a massive choice of non ski activities such as ice hockey, ice skating, ice climbing and a massive choice of family activities too, making these perfect for those travelling with children. Zermatt, Saas Fee and Villars with their atmospheric mountain restaurants, their skiing terrain to suit all and charming lively villages, excellent ski schools, excellent childcare facilities and massive choice of accommodations to suit every taste and budget especially around Easter are just fantastic too. Apres ski in Switzerland varies from town to village, but all offer excellent service, charm and amazing hospitality, there is nothing to much and the standards are very high. For the non skier, the activites are endless, snow walking, tobogganing, indoor and outdoor skating, curling, cinemas, casinos, art galleries, museum, and of course you can do some amazing city stays in Zurich, Bern or Geneva. So no longer reserved for the rich and famous, skiing in Switzerland is open to all, regardless of taste or budget and you will be hard pushed to find a place with so much to do and such a long season in which to enjoy it.